My story at Unilad. My story at Unilad's Facebook page. This blog was started to document my journey through Arizona's deadliest jail. I was released in December 2007, but have continued to post stories online from my friends inside ranging from Mafia hit men to men who believe they're women. Here are short descriptions of them. Jon's Jail Journal guide for new readers. My story is a trilogy of books, Party Time, Hard Time and Prison Time. Please feel free to Tweet me any questions here or post them to Facebook here. My 17 tips on surviving jail in Arizona. My fish survival guide. Here are questions I answered for Nat Geo and what I'm up to now. You can read my jail book, Hard Time, for FREE by downloading it here to any device . 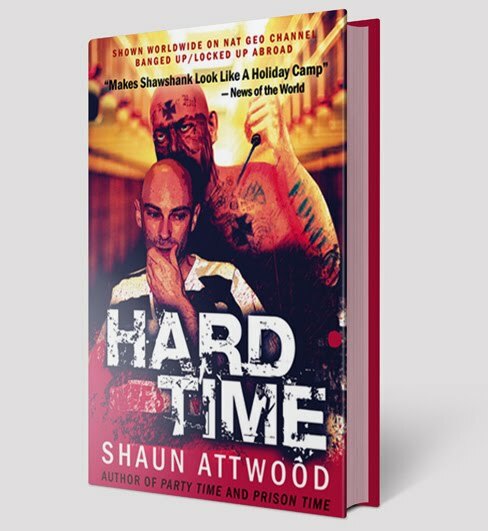 Download my jail book, Hard Time, for FREE. 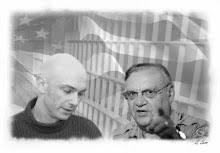 Click here for descriptions of all of the prisoners I write about at Jon’s Jail Journal ranging from Mafia hit men to giant transsexuals. Sleep is hard. It comes and goes, sometimes good and sometimes not. The guys over in pod 5 are really loud when the lights go out. They show no respect to the others in here at all. The showers are too small for me. They stink and they are full of bugs and roaches. The guards make us clean our toilets with our hands without cleaners of any kind. There is no sunshine or any fresh food at all. In My main problem is trying to eat right in here, but other than that I’m cool. I take it one day at a time.